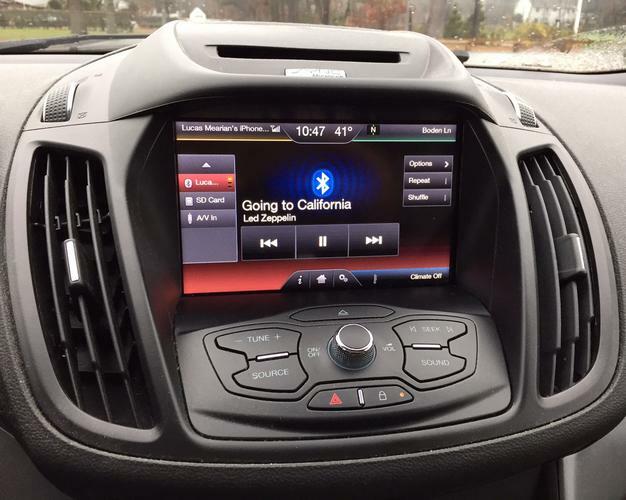 Documents in a class-action lawsuit against Ford and its original MyFord Touch in-vehicle infotainment (IVI) system reveal that the company's engineers and even its top executive were frustrated with the problematic technology. The documents from the 2013 lawsuit show Ford engineers believed the IVI, which was powered by the SYNC operating system launched in 2010, might be "unsaleable" and even described a later upgrade as a "polished turd," according to a report in the Detroit News, which was confirmed by Computerworld. The SYNC OS was originally powered by Microsoft software. Microsoft continued releasing software revisions it knew were defective, according to the lawsuit. "In the spring of 2011, Ford hired Microsoft to oversee revisions, and hopefully the improvement, of the [software]. But ... Microsoft was unable to meaningfully improve the software, and Ford continued releasing revised software that it knew was still defective," the lawsuit states. Ford and Microsoft did not immediately respond to requests for comment. Consumer groups from nine states are involved in the lawsuit against Ford. The lawsuit describes an IVI screen that would freeze or go blank; generate error messages that wouldn't go away; voice recognition and navigation systems that failed to work, problems wirelessly pairing with smartphones, and a generally slow system. Ford's CEO Mark Fields even described his own travails with the SYNC IVI, referring to it as having crashed on several occasions, and that he was so frustrated with the system he may have damaged his car's screen out of aggravation, the lawsuit revealed. "I am once again having many problems with my Sync system," Fields, who was president of Ford's Americas division at the time, wrote in January 2013. "And yes, you guys already installed version 3.5!!!" Three months later, Fields expressed his frustration with customers who had to wait for fixes and stated, "I don't even use the system anymore." Even Henry Ford's great grandson experienced significant problems with SYNC. In one incident, Edsel Ford was forced to wait on a roadside for the system to reset and could not continue to drive because he was unable to use the IVI's navigation system, the report stated. The law firm representing consumers in the class-action complaint stated that internal Ford documents purportedly show that "500 of every 1,000 vehicles have issues involving MyFord Touch due to software bugs, and failures of the software process and architecture." "Owners report that Ford has been unable to fix the problem, even after repeated visits," it stated. In 2014, Ford announced it was dropping Microsoft as the platform supplier for SYNC and moving to one based on Blackberry QNX for its SYNC 3 IVI -- a friendlier platform for mobile app developers. This reporter reviewed SYNC 3 and found it an improvement on the previous version but also that the system was not as smartphone friendly as it was purported to be. At the time of its launch, iPhones owners still had to plug into their vehicle via a USB port to use mobile apps on Ford's AppLink system. Bluetooth wireless connectivity for mobile apps only worked with Android smartphones. Last year, Ford rolled out a software upgrade to its SYNC infotainment system that lets iPhone users wirelessly access Siri Eyes-Free capabilities over Bluetooth. While the upgrade enables users to make phone calls to contacts in their address book, ask for weather updates, select music to play, send and receive text messages via voice and get directions through Apple Maps, the system has glitches. For example, when using it to look up phone numbers for points of interest, such as a restaurant, the system will find the phone number but fails to dial it on command. The class-action lawsuit is expected to go to court sometime in 2017.